Owners of iPhone 6 Plus devices have been complaining of "touch disease," a flickering bar the appears at the top of the screen for no apparent reason. Apple is now offering a fix for the problem, which it says occurs when the phone has been dropped on a hard surface too many times or has been subjected to other stresses. The repair costs $149. Customers who have already paid more than that can apply for a refund of the difference. More information can be found here. There's some controversy about the cause of the problem. While it may be true that dropping the phone is the most obvious cause, some techies are saying it's a design flaw. iFixit, a tech repair site, says the placement of touch-screen chips causes them to work loose "as the phone flexes or twists" during normal use. 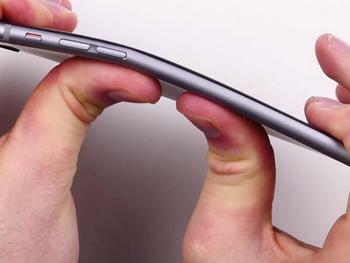 You may recall that when the rather lengthy 6 Plus was introduced, some users found that they could bend it with their bare hands, which was probably not something Apple designers expected. The flexibility issue is at the heart of several class action lawsuits that have been filed against the company. Apple's offer to fix the problem for a fairly nominal charge may short-circuit that action.